In Canada (unlike the US) we have not banned commercial or “non-recreational” drone applications thus many can embark on a mission to create the next great business drone business. In fact, it’s set some pretty clear rules outlining what is and isn’t acceptable and we are leading the world in the development of UAV regulations and guidelines. In our view it’s clear what they are proposing but it’s not really clear what we can expect. It seems they may be intending to over regulate drones in Canada but lets hope they use a little common sense and apply reasonable risk assessments to determine training, flight operations and like requirements. 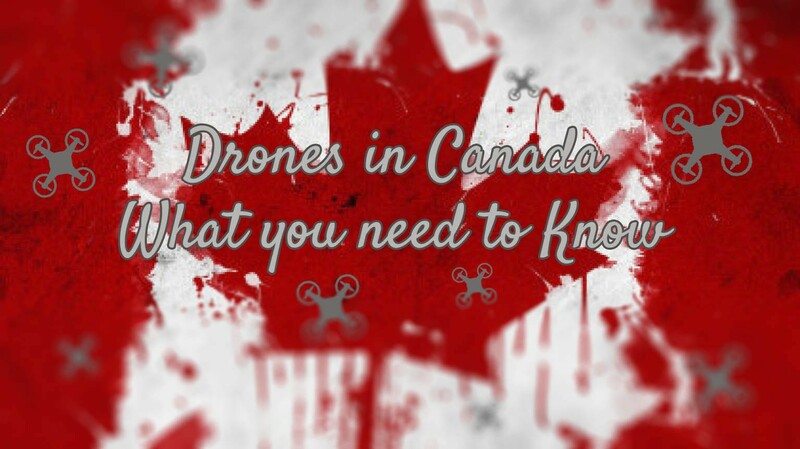 If you are concerned and want to learn more or get involved Unmanned Systems Canada advocates extensively on behalf of the drone industry in Canada. If you intend to fly commercially you may qualify for an exemption if your craft is less than 2 kg you must adhere to 37 conditions out lined under the exemption from sections 602.41 and 603.66 of the Canadian Aviation Regulations (CAR). If you intend to fly commercially you may qualify for an exemption if your craft is between 2 kg and 35kg you must adhere to 58 conditions also described under the 602.41 and 603.66 of the CARs. Exemptions are only permitted to December 21, 2016. Under section 602.41 of the Canadian Aviation Regulations (CAR) penalties may be assessed in the amount of $5,000 for individuals and $25,000 for corporations for failure to obtain an SFOC.. Under section 603.66 of the CARs penalties may be assessed in the amount of $3,000 for an individual and $15,000 for a corporation for failure to comply with the conditions of an SFOC. The Criminal Code of Canada describes several offences involving the dangerous operation of aircraft and endangering the safety of other aircraft. Committing such offences is punishable by monetary penalties and/or jail time including imprisonment for life. Flying drones in Canada for recreational purposes is allowed so long as you follow some basic conditions. If you fly recreationally you DO NOT need permission to fly provide you follow the guidelines below. Make sure your aircraft is safe for flight before take-off. Do not operate with any dangerous goods or lasers on the aircraft. For a brief overview of recreational and commercial use of drones in Canada see CTV Investigates, Krista Simpson 3 part cover piece “The Day of Drones“. Also if you would like to checkout the Transport Canada flow chart to help you determine whether or not you are exempt or need and SFOC you can download the PDF here.